One of the most psychedelic tapestries we have ever seen. Any more trippy and the DEA would make this tapestry illegal. It was created by psychedelic artist Mike DuBois. 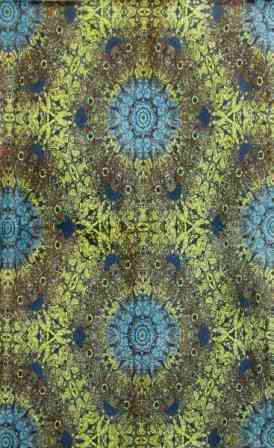 The 100% cotton tapestry measures approximately 60" x 90". It can be used as a wall hanging, room divider, bed sheet, beach blanket, or window curtain. It is equipped with specially-designed loops to accommodate easy hanging.